This problem isn't just all in your head. FX made the difficult announcement on Monday, February 4 during the Television Critics Association press tour that its Marvel television series Legion will conclude with its upcoming third season, set to launch this summer. The Hollywood Reporter confirmed the news. According to FX CEO John Landgraf, Legion creator Noah Hawley had long planned for the series' story to be told across three seasons — and he's not budging on that vision now. This should soothe the spirits of fans worried that FX is pulling the plug on Legion due to poor reception (a near impossibility considering the first season has a 91 percent critical approval rating on Rotten Tomatoes, and the second has a 90 percent score). However, even if Hawley didn't plan for a three-season arc, Legion could have faced some trouble with renewal due to its dip in ratings; THR notes that Legion season 2 "suffered sizable ratings declines," dropping from roughly 1 million average viewers to 430,000 per episode. 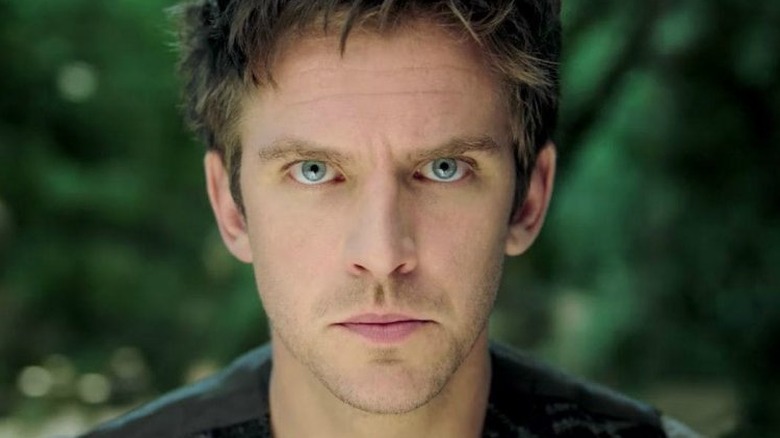 Starring Beauty and the Beast actor Dan Stevens as David Haller, the mutant son of X-Men member Charles Xavier, Legion follows David as he struggles with mental illness and his schizophrenia diagnosis. Moving "in and out of psychiatric hospitals for years," David doesn't experience anything out of the ordinary that exists in such facilities. That is, until he has an eerie encounter with another patient that leaves him questioning whether he isn't suffering from schizophrenia, but is experiencing something much different than mental illness. Once David confronts the idea that "the voices he hears and the visions he sees might be real," he ultimately discovers that he has mutant abilities. Legion, which is based on the Marvel Comics character created by writer Chris Claremont and artist Bill Sienkiewicz, also stars Rachel Keller as David's eventual girlfriend Sydney "Syd" Barrett, Katie Aselton as David's sister Amy Haller, Aubrey Plaza as David's friend Lenore "Lenny" Busker, Bill Irwin as mutant scientist Cary Loudermilk, Jeremie Harris as memory artist and mutant Ptonomy Wallace, Amber Midthunder as mutant Kerry Loudermilk, and Jean Smart as psychiatric therapist Melanie Bird. Navid Negahban and Hamish Linklater portray the series' shadowy characters, Amahl Farouk / Shadow King and Clark Debussy, respectively. Given that Hawley envisioned Legion ending after its third season, the series should wrap up naturally with no dangling plot-lines or frustrating cliffhangers in sight. This is essentially the best possible outcome for a series' conclusion, as most shows that end after a short time on television do so because of an out-of-the-blue cancellation. Take fellow Marvel TV show Daredevil, for instance: Netflix axed the superhero show shortly following its season 3 premiere, turning that season's last episode into the series' finale. It will be interesting to see how Legion ends its time on television, but judging by the twists and turns of the past two seasons, viewers should ready themselves for a wild ride. Legion will return to FX for its third and final season sometime this summer.